Let’s face it, there are a million and two ways to grow a SaaS business. 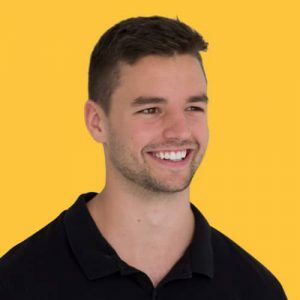 You could hire an expensive sales team, create a bunch of content or give your software away for free through a free trial or freemium model (aka self-service). In this article, I’m going to challenge you to consider the latter option. If you’ve used Slack, Dropbox, or even Atlassian, you’ve witnessed this go-to-market strategy (something we call product led growth) at play. Instead of spending weeks or even months talking to a sales rep, you were able to test out the product immediately. If the product was a good fit, you could become a paying customer without talking to anyone. Why free software is changing the way SaaS businesses grow. If we rewind the tape to when SaaS first came onto the scene, there was no cloud. Solutions were expensive, took a frustratingly long time to build out, required a heavy upfront investment and you needed a killer sales team to make a dent. Let’s refer to this period as the Sales-Led Era. If you wanted to make a sale, you needed to sell your solution through a sales rep.
Oftentimes sales teams would do the prospecting, negotiating, and closing. The whole shebang! 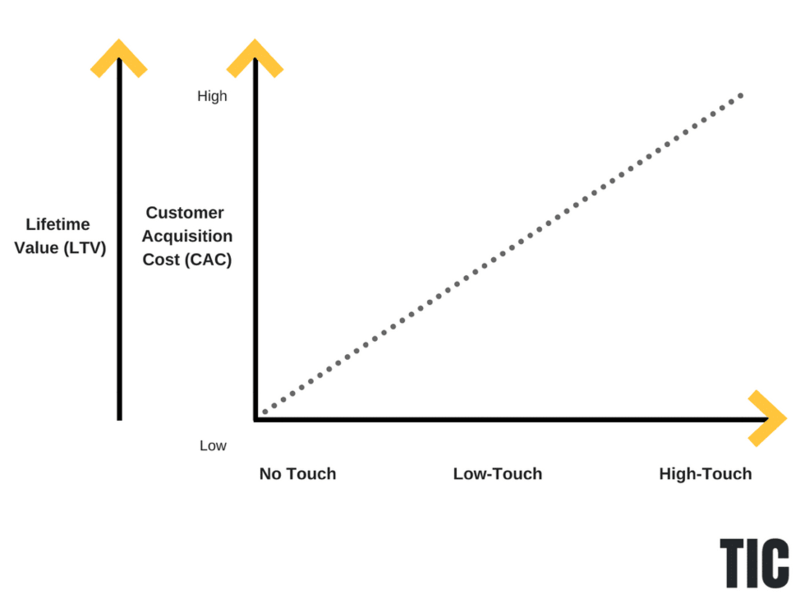 However, a downside of the high-touch sales model was that the Customer Acquisition Costs (CAC) soared and the sales cycles were extremely long. 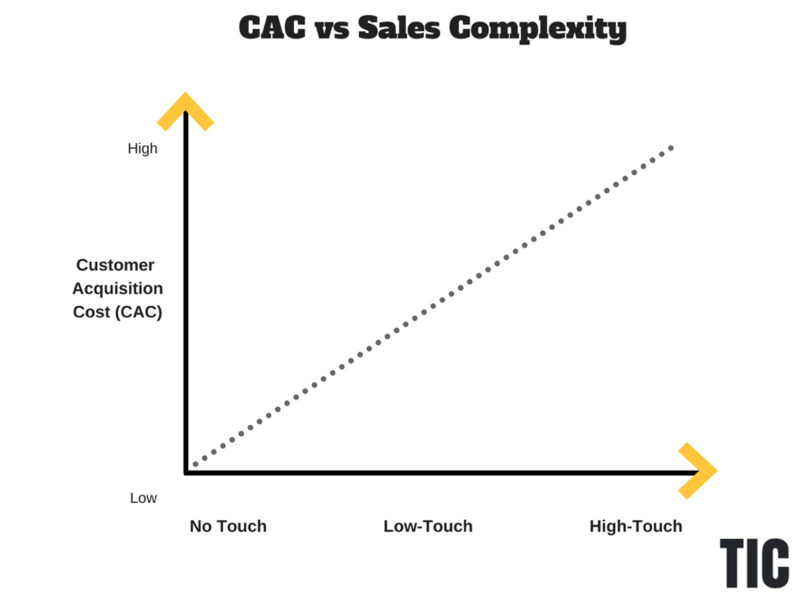 As you can see in the graph below, high-touch sales is a leading indicator of CAC. To make sure the high-touch sales model remained profitable, the Lifetime Value (LTV) naturally had to be high enough to recoup the cost of acquiring each new customer. For most Sales-Led businesses, they had to have a high LTV and charge their customers quite a hefty premium. This premium price wasn’t necessarily because the solution was more valuable than a cheaper competitor, but because their customer acquisition model was expensive. To stay competitive, SaaS companies had to innovate. Or they’d risk having a competitor with a more efficient customer acquisition model take part of their market share with a more affordable alternative. So, SaaS companies found a way to reduce their CAC by outsourcing the prospecting and part of the qualification of each lead. Who took on this job? Marketers were now tasked with creating demand for a product, generating leads for the sales team, and then qualifying those leads through a Marketing Qualified Lead (MQL) model. This started the Marketing-Led Era and the shocking rise of the MarTech space to support it. If you’ve been in the SaaS space for even just 5 years, you’ve probably worked at one of these companies already. You can spot Marketing-Led companies typically by how they gate the majority of their content behind a form. This “gating” is done so they can score leads and capture your precious contact information. By having a team of marketers focus on generating leads and a Sales Development Representative (SDR) filter leads out of the funnel, many companies were able to reduce their CAC substantially. Boom! A more efficient model was born. This, in turn, helped the sales team run more efficiently and focus on the deals that mattered. When compared to the Sales-Led Era it was a much stronger customer acquisition model. Does downloading “bottom-of-funnel” content indicate an intent to buy? Should we gate top-of-funnel content? What is a leading indicator of someone buying our product? As a result, there would often be a disconnect between marketing and sales. So, conversion rates naturally suffered. How much you might ask? Well, according to SiriusDecisions, 98% of marketing qualified leads never result in closed business. It encourages marketers to gate content to hit their MQL goal for the month. It focuses on content consumption as a leading indicator of intent. The entire process rewards creating friction in the buying process. With all that being said, Marketing-Led companies still dominate the SaaS industry today. But, there is a new kid on the block. Why free software has become the new marketing. Currently, we are witnessing a change in consumer behavior that is going to remodel the way we sell SaaS solutions for the next 50 years. This change is primarily driven by 2 main factors. I’ll break down each of these factors in more detail below. Let me ask you three yes or no questions. Are you more comfortable than ever before using software on your own? Are you tired of “jumping through hoops” in a sales process in order to see if a product is a good fit for your organization? Would you like to see and use a software product before buying it? If you’ve answered yes to those three questions, you’re not alone. In fact, a study by Forrester has shown that B2B buyers prefer to self-educate, rather than talk to a sales representative to learn about a product by a factor of three to one. A factor of three to one is a fun way of saying that consumers DEMAND self-service businesses. In Andrew Chen’s article “Startups are cheaper to build, but more expensive to grow” he made a solid argument that the customer acquisition costs (CAC) of most companies are growing at a steady clip – he’s not wrong. Just take a look at how much each social media marketing channel has increased in price over such a short period of time. That’s not to say those are all the channels out there but it does give us a hint that, well, marketing isn’t getting any cheaper. One of the big factors that is driving this price up is competition. It’s never been easier to open up a business. This sounds great, but it also means that we need a better customer acquisition model if we’re going to compete long term. If you’re only response to rising customer acquisition costs is raising your prices, you might not be in this game for the long term. Lucky for you, you can use free software to significantly lower your CAC with either a no-touch or low-touch sales model. Dominant growth engine: Free software gives you the option to scale faster than your competitors in two powerful ways. Wider top of funnel: By having a free trial or freemium model, you are opening your funnel up to people who are earlier on in their customer journey. This is powerful because instead of having potential prospects filling out your competitor’s demo request, they are spending time evaluating your product for themselves. Rapid global scale: While your competitors are busy hiring new sales reps for each region under the sun, you can focus on improving your onboarding so that you can service more customers easily across the world in a fraction of the time. A significantly lower CAC: Free software builds a moat around your business in three main ways. Fast sales cycles: By having your prospects onboard themselves in your product, you can significantly reduce your prospect’s time to value and sales cycle. Once people experience value in your product, the next logical thing to do is upgrade.The quicker your users can accomplish a key outcome in your product, the quicker you can upgrade them. High revenue-per employee (RPE): Software was always built to scale well, but with a self-service approach, you’re able to do more with fewer people on your team. Fewer support requests and less hand holding means higher profit margins per customer. Better user experience: Since your product is built for people to onboard themselves, the overall support requests are often minimized while the user experiences benefits. Having both a dominant growth engine and significantly lower CAC means that you can afford to create an incredible customer experience and brand that sets your SaaS apart in a crowded market. One thing I hope you’re not inferring from this article is that you need to be a self-service business. You can have a successful software business without being self-service. For instance, if you have a very complex and expensive product, it can be more beneficial not to employ a self-service model (see yellow zone below). 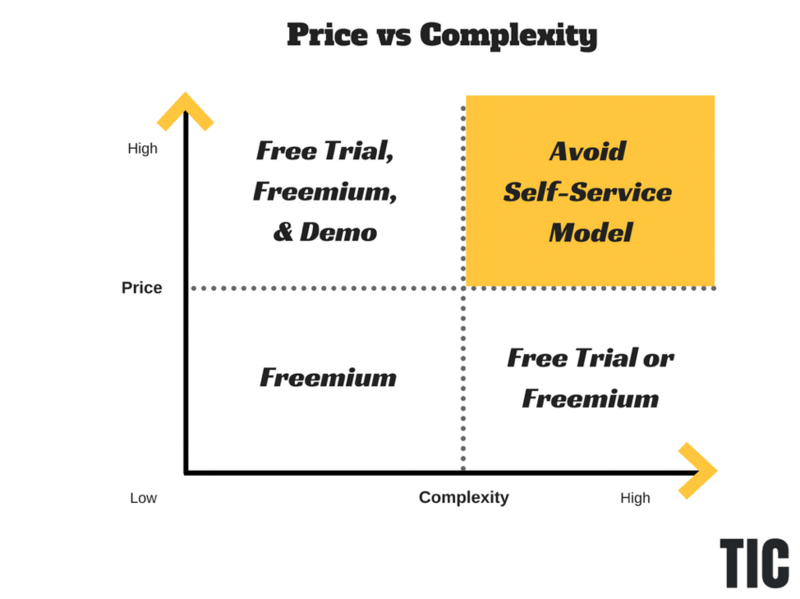 With that being said, if you don’t have a self-service model but think it might work for your SaaS business, you should read this article on how to identify whether you should have a free trial or freemium model. Do you agree free software is the new marketing or not? Editor’s Note: Check out the quick video below to get a recap of the above article.